Archers came from far and wide to take part in NAC’s 2016 Open Portsmouth held at John Ashby Sports Hall on Sunday 28th February 2016. Shooters from 12 clubs took part in the tournament, which was NAC’s fourth open event at Moulton. 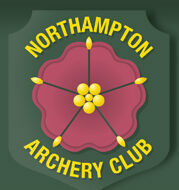 In addition to Northamptonshire – Staffordshire, Cambridgeshire, Bedfordshire and the West Midlands were all represented by 48 archers. Despite a heating failure in the hall on a cold day, a good day was had by all. Some fantastic shooting at a great (but cold) venue. The results can be found here.